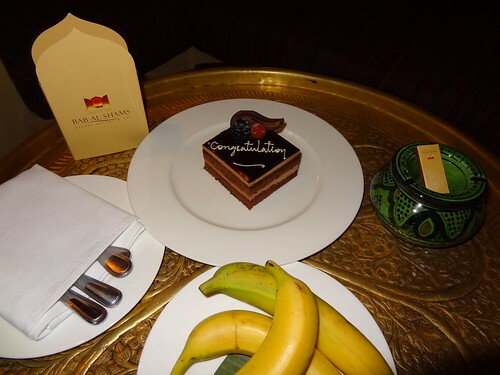 Bab al Shams Desert Resort brought a delicious chocolate mousse and also had stuffed dates to enjoy in our Arabian paradise. 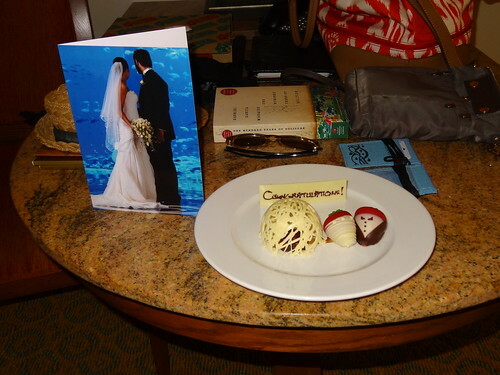 Atlantis Palm Island Dubai fooled us with those chocolate covered “strawberries” – they were chocolate filled! Also, check out the wedding card…which isn’t us by the way. 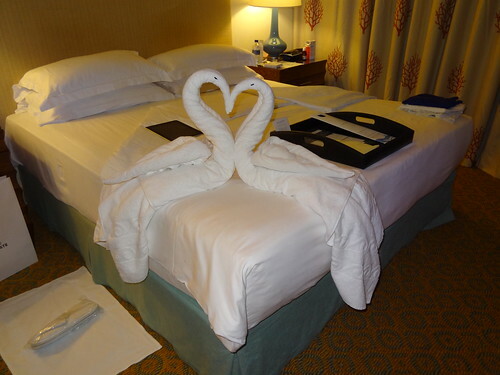 The Atlantis also gave us our first towel swans. 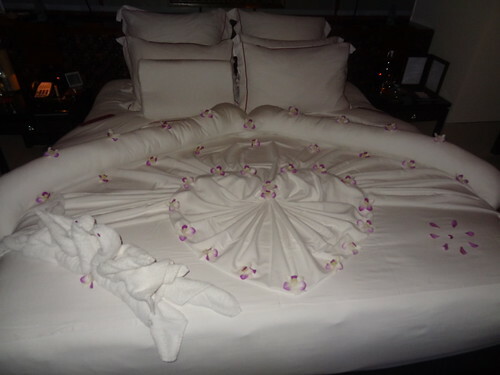 I loved the room decor on the property – instant beach chic! Even Nobu Atlantis got in on the honeymoon dessert action – in addition to the other two desserts and box of petit fours not pictured here. 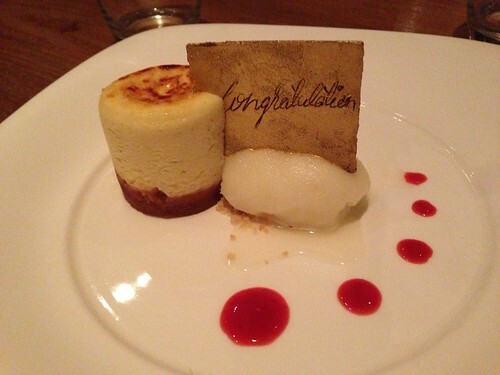 Nobu’s famous cheesecake. This was definitely the tastiest honeymoon cake. I know I asked which is best as a question, but let’s be honest. 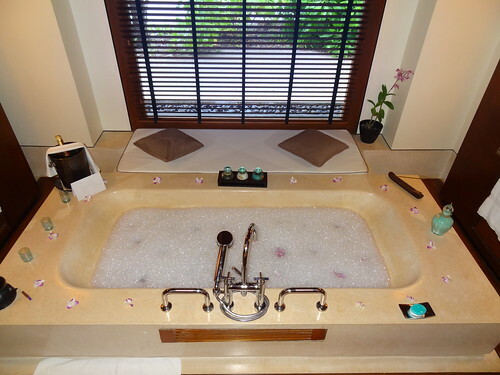 How can you beat this luxurious bubble bath – with orchids – and bubbly at Reethi Rah? Big thank you to our wonderful travel agent Lynn for this amazing treat! A gal could get used to this. I am a convert for One & Only resorts. The Reethi Rah Maldives resort is to die for. 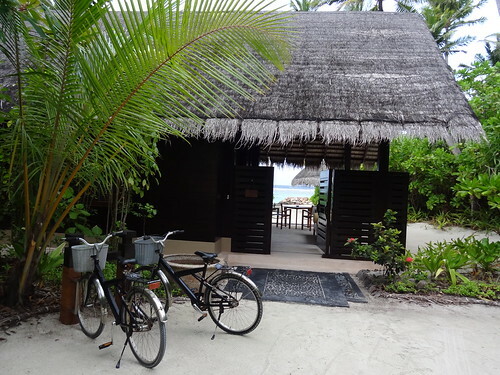 Reethi Rah translates to “Beautiful Life” in Maldivian and they could not have picked a better name for their island. The resort is the island, by the way. Nothing else and all of it. Pretty amazing. Straight through to the paradise out back. 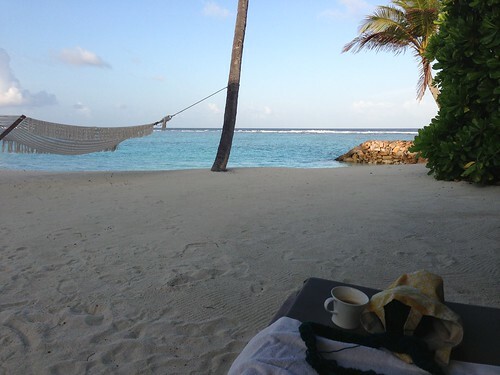 The perfect back yard for morning espresso and knitting.